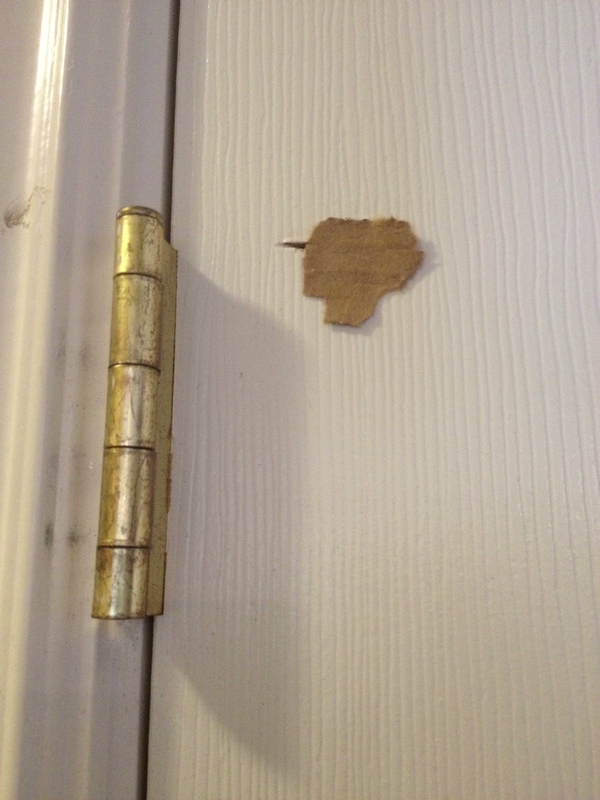 First, take your piece of cardboard and tear it into a size that matches up with your hole. Cover the cardboard with mesh tape. 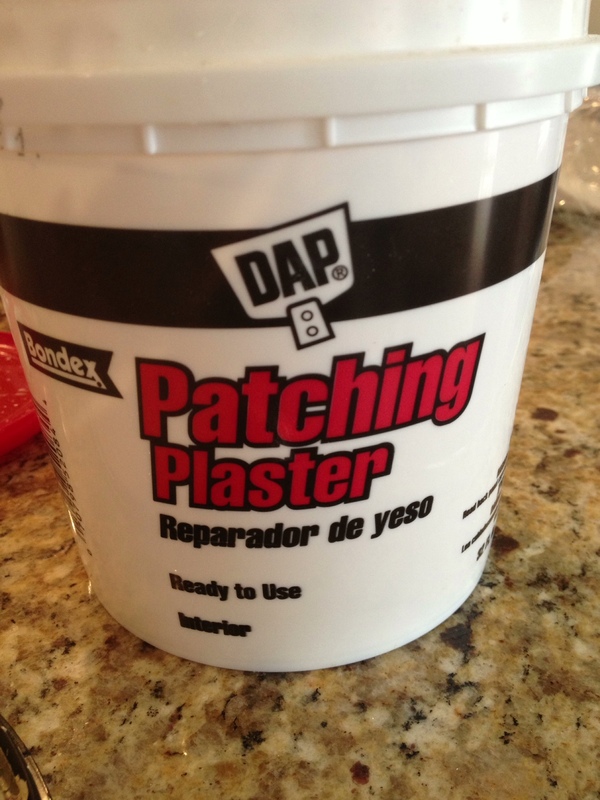 Use your putty knife to spread patching plaster or joint compound over the mesh tape. 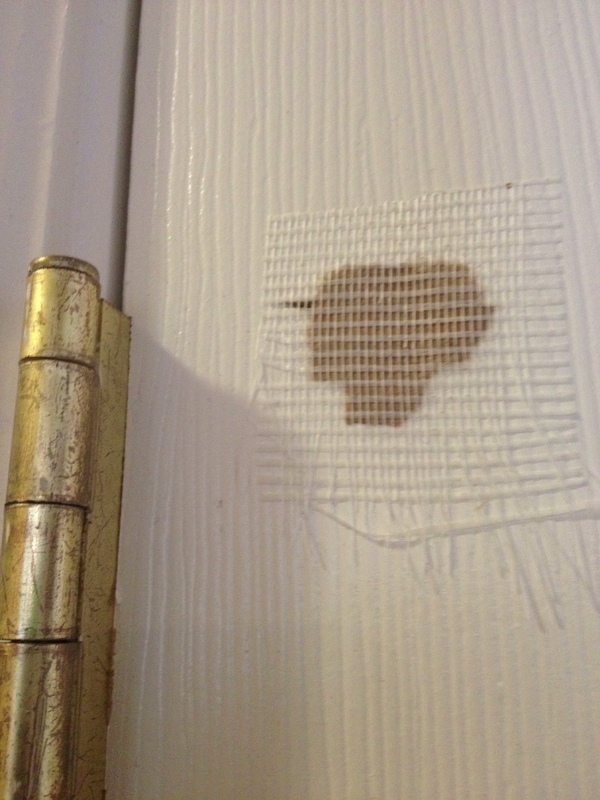 You want to be sure to completely cover the mesh tape, and you may need to do multiple layers to do so. 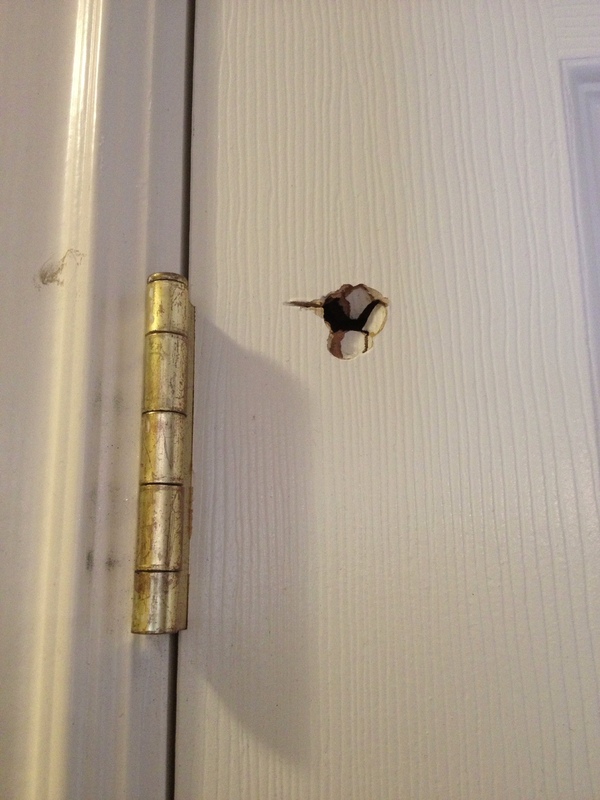 If you are covering a hole in a door (as shown), you will want to scrape in the direction of the grain of the wood. Now it’s ready to be painted. Good luck patching! 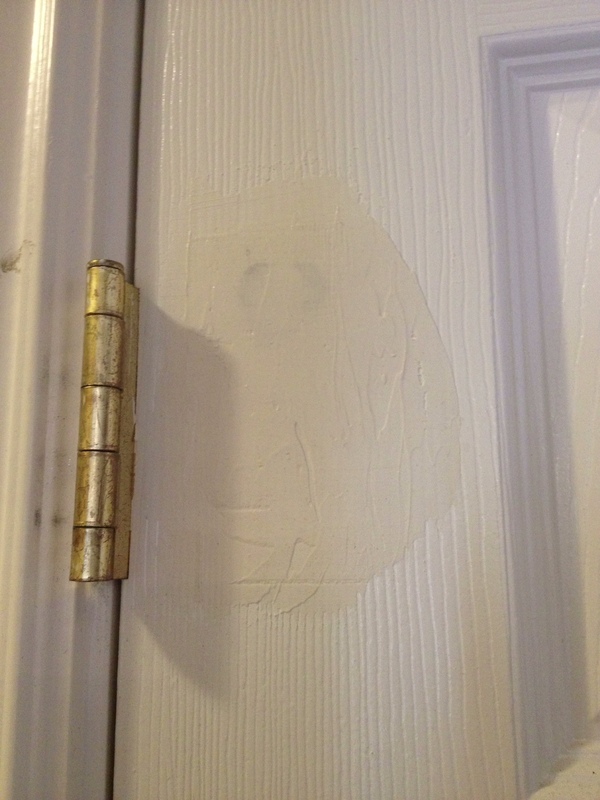 I remember that we used to get holes in our doors, and my dad had some kind of foam he would spray into them. After it was dry, he’d sand it down and proceed with painting. I am certain I’m going to need this someday! Thanks for the tip!